Ask any Pink perch lover and they'll tell you - the bonier, the tastier. It goes by various names though, and is a seafood lover's favourite. An excellent fish variety from sea having good meat quality. Fried items are highly delicious to serve in special occasions. No Special Options or Whole: Fresh fish washed and packed as a whole. 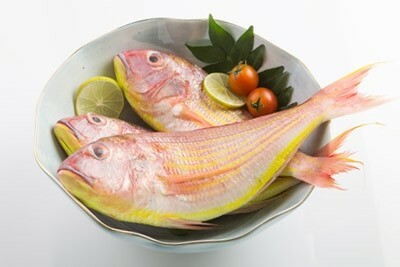 Fillet : Meat from the lateral sides of the fish is chopped and packed as boneless pieces. You will receive two pieces of boneless meat from each fish. Gutted: Intestinal part is removed from the whole fish in order to reduce the bacterial load and to increase the storage time. You will receive whole fish without the intestinal parts.